Even though the 2011 Ryan Reynolds-led Green Lantern movie was a colossal disappointment in so many ways, we kind of always thought that Green Lantern would still be appearing in the Justice League movie considering he was one of the founding members of the team dating back to their first battle with the Appelaxians as told in Justice League of America #9 (February 1962). Green Lantern Hal Jordan was even instrumental in the recent DC Comics revamp of the Justice League title that saw the team coming together to face the threat of Darkseid, which appears to be at least a partial inspiration for Zack Snyder‘s upcoming movie adaptation. Snyder has made no mention of Green Lantern — in fact, no one at Warner Bros. seems to want to talk about the Emerald Warrior — but a recent rumor claims “a Green Lantern” will be making an appearance in Justice League. The rumor could be bogus, but it would be pretty cool to somehow tie in the Green Lantern Corps with the formation of the Justice League. 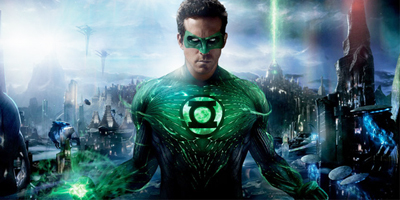 While it’s unlikely Hal Jordan, the most famous Green Lantern and the one Reynolds portrayed, will be the one to make an appearance, that hasn’t stopped one Justice League cast member from poking at the rumor on Instagram. 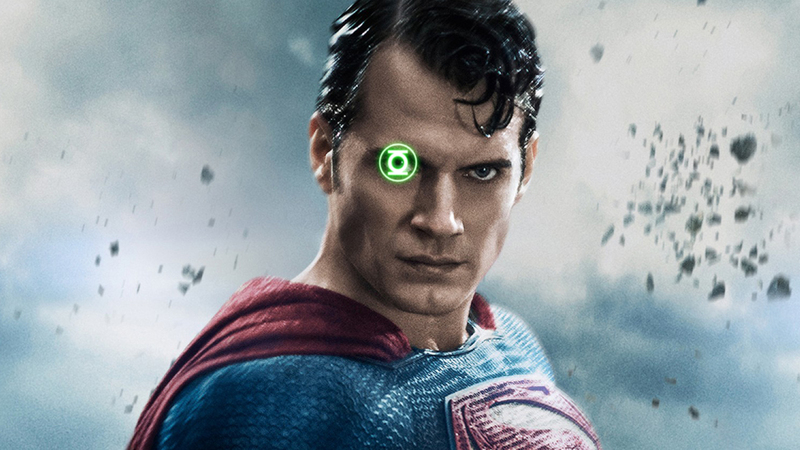 Henry “Superman” Cavill snapped a goofy shot of himself with a Hal Jordan Green Lantern bust behind him captioned, “Other Kal Looking for Hal,” and now the internet is really going wild about what this could mean for the DC Cinematic Universe going forward. We think Cavill’s just having fun with all of the fanboys and fangirls out there, but you never know. Snyder directed Justice League from a script by Chris Terrio, from a story he wrote with Terrio. The super cast includes Henry Cavill as Superman, Ben Affleck as Batman, Gal Gadot as Wonder Woman, Ezra Miller as The Flash, Jason Momoa as Aquaman, Ray Fisher as Cyborg, Amy Adams as Lois Lane, Willem Dafoe as the Atlantean Vulko, Jesse Eisenberg as Lex Luthor, Jeremy Irons as Alfred Pennyworth, Diane Lane as Martha Kent, Connie Nielsen as the Amazon Queen Hippolyta and J.K. Simmons as James Gordon. Maybe they bring in Jon Stewart. That’s the other Green Lantern right? The other? No, there are thousands of Green Lanterns from all over the galaxy. Earth actually has six: Hal Jordan, Guy Gardner, Jon Stewart, Kyle Rayner, Simon Baz and Jessica Cruz. Plus, the original Green Lantern, Alan Scott, who is different in that his power is mystical.